Lately we see a little revival of 70ties plants and plants in general, not only in our homes, complete with macrame plant hangers or plant stands, but also on posters and fabric. And with monthly emails from Igor and Judith from Urban Jungle bloggers I decided to give it a go and really join the club this month, so here is to plants and coffee and #UrbanJunglebloggers. 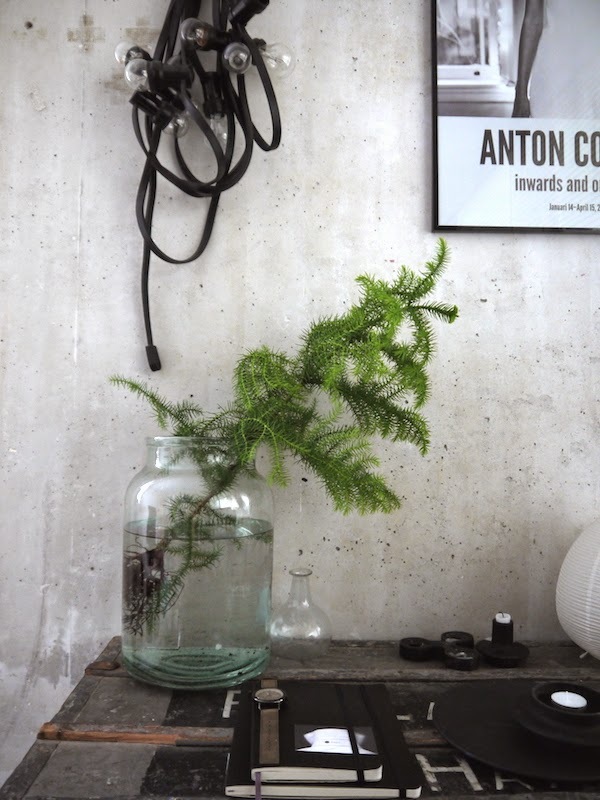 I personally see plants as a decoration object and inspired by plants in terrariums and the small Christmas trees without soil, I filled my large glass vase with water and put in a small green plant, in Holland we call them house- pines, but I am sure there is a fancy English name for it, what do you think ... do you like it?